Dean Ken Paulson, plus Electronic Media Communication Chair Billy Pittard and School of Journalism Director Greg Pitts, were on hand to shell out free T-shirts to students. The shirts sport the new name of the college on the front and the new college logo on the back. Students and faculty alike gathered to enjoy fresh popcorn, Pepsi products and ice cream while building awareness of the name change. 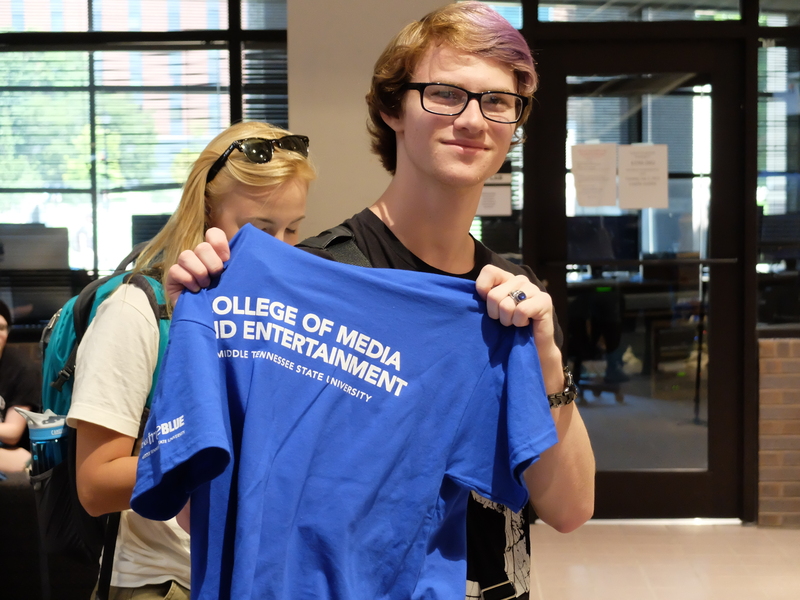 The event, held on “Main Street” of the Bragg Media and Entertainment Building, only lasted from 11 a.m. to 1 p.m., but more than 800 T-shirts were given away.